The most common use of Chinese coins in feng shui is for attracting the energy of wealth and money. Another popular use of coins in feng shui is as protection and good luck cure. These energies sure do go together, do they not? When a person achieves financial stability, she or he also feels more protected and, of course, lucky! 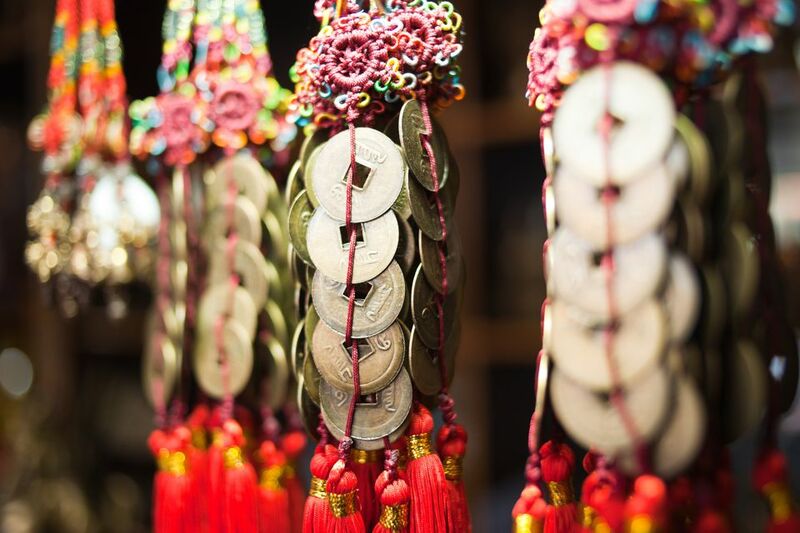 To use Chinese coins as a feng shui money cure, start by exploring the variety of feng shui cures that incorporate Chinese coins in their design. Next, locate the money area of your home. After you've found your money area, find the best way to display your cure in a way that works well with your overall home decor. For example, you can hang your Chinese coins tassel on the wall, you can frame it, or you can simply place it on any appropriate surface (desk, books, etc). It might be helpful to know that you do not always have to display your feng shui cure in plain view; sometimes you can have it hidden. Your feng shui cure will work just as well, especially if you can still see it. This can be the case of having your Chinese coin tassel inside a desk drawer that you use often. Of course, you will have to have an absolutely clean and organized desk drawer! You can do the same steps in your office to focus even more on attracting the energy of abundance into your life. Do not forget to place the coins on the Yang side—four characters facing up. The other popular way to use Chinese coins to attract the energy of money is to carry them in your wallet or in your pocket. Usually, it is 3 coins tied with a red color ribbon. If you own a business, there is a variety of ways to use the coins according to classical Chinese feng shui schools. You can use them near the cash register, on the inside of your front door, with your financial papers, near the phone, or any other place that feels important to you. The 6 or 9 Chinese coins cure is often used as an annual feng shui cure in the affected bagua areas (if you follow the annual feng shui stars). You can also see Chinese coins incorporated in various jewelry designs, from earrings and bracelets to various necklaces and pendants. In a way, wearing beautiful jewelry with good energy—be it powerful crystals or powerful symbols is—very good body feng shui, and quite popular, too. Whichever way you choose to incorporate the energy of Chinese coins in your feng shui work, it is always a good idea to cleanse your coins from previous energy. Unless your coins come from a reputable feng shui retailer and you can feel them sparkling with good energy, use some basic space clearing steps to cleanse and refresh their vibration. Last but not least, do a search online to get an idea of prices and current availability of feng shui coins. You can buy simple coins made from brass (about $25 for 100 coins) or go for 24K gold plated coins at a much higher price range.